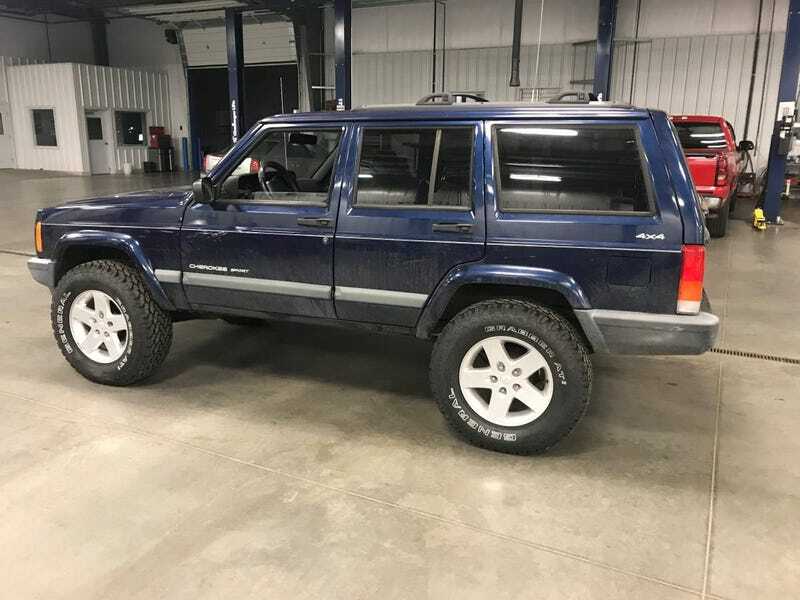 I'm back in an XJ! Dealer tech owned. 2000 Sport w 162k. Rough Country 1 1/2" lift with late model Wrangler Moab rims and some meaty tires. Surface rust has been treated mostly, but the underside is really clean. Even the pinch welds are rust free. The toddler took a ride and loved it! It's bouncy as hell, and I forgot how tractor-like they are to drive.